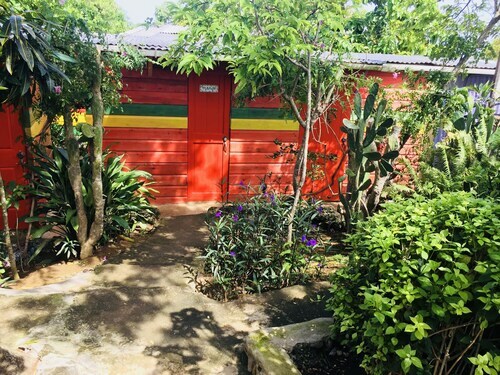 Located in West End, this beach resort is 0.9 mi (1.5 km) from Seven Mile Beach and within 3 mi (5 km) of Time Square Mall and Negril Lighthouse. Negril Hills Golf Club and Kool Runnings Water Park are also within 6 mi (10 km). 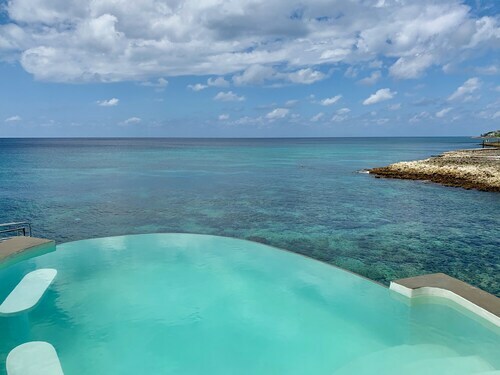 Located in West End, this all-inclusive property is 1.4 mi (2.3 km) from Negril Lighthouse and 2.3 mi (3.8 km) from Seven Mile Beach. Throne Room is 2.3 mi (3.8 km) away. 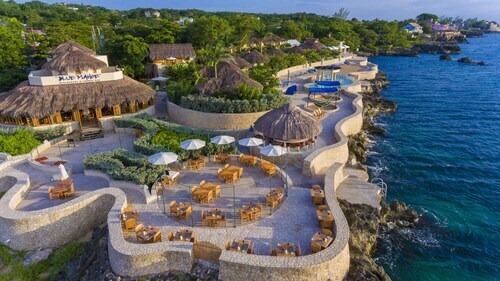 This family-friendly Negril hotel is located on the waterfront, 0.5 mi (0.9 km) from Negril Lighthouse, and within 6 mi (10 km) of Seven Mile Beach and Time Square Mall. Bloody Bay Beach and Kool Runnings Water Park are also within 9 mi (15 km). 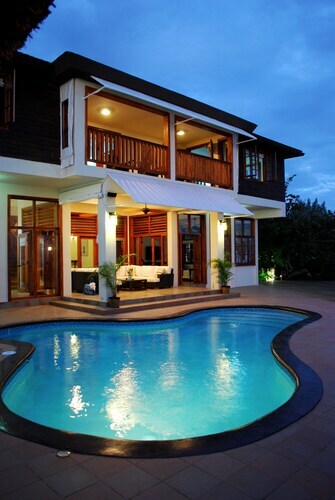 Located in West End, this villa is 0.5 mi (0.8 km) from Negril Lighthouse and 2.9 mi (4.7 km) from Seven Mile Beach. Throne Room is 2.9 mi (4.7 km) away. 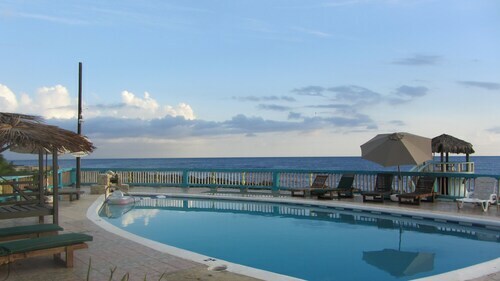 Located in West End, this resort is 1.3 mi (2.1 km) from Negril Lighthouse and 2.3 mi (3.6 km) from Seven Mile Beach. Throne Room and Time Square Mall are also within 3 mi (5 km). 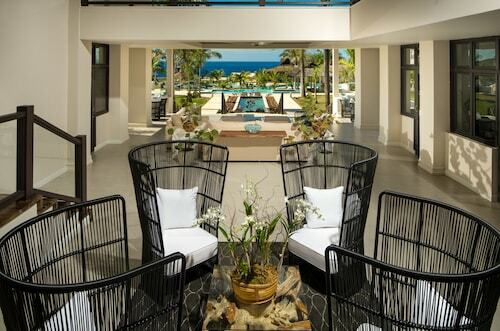 Located in West End, this spa hotel is 0.9 mi (1.5 km) from Negril Lighthouse and 2.5 mi (4 km) from Seven Mile Beach. Throne Room is 2.5 mi (4 km) away. 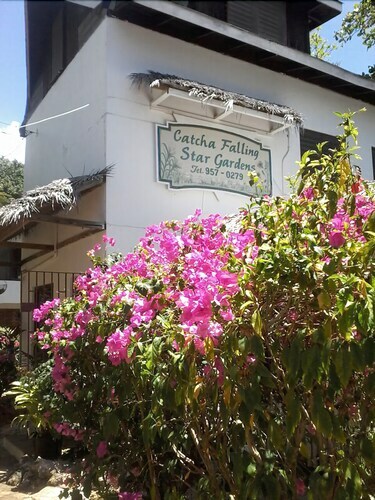 Located in West End, this hostel is within 1 mi (2 km) of Throne Room and Seven Mile Beach. Time Square Mall is 1.8 mi (2.9 km) away. 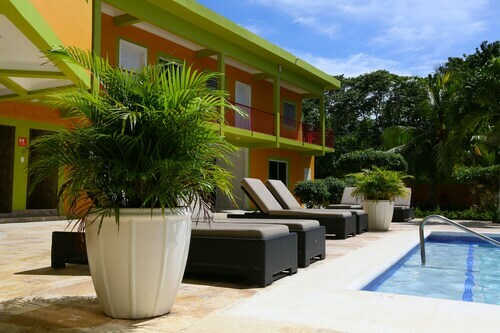 Located in West End, this hotel is 1.7 mi (2.7 km) from Seven Mile Beach and 1.8 mi (2.9 km) from Negril Lighthouse. Throne Room and Time Square Mall are also within 3 mi (5 km). 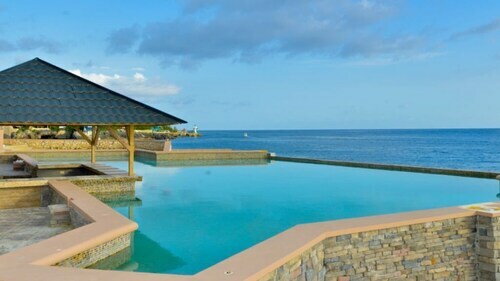 Located in West End, this spa resort is 0.7 mi (1.2 km) from Negril Lighthouse and 2.7 mi (4.4 km) from Seven Mile Beach. Throne Room is 2.7 mi (4.4 km) away. How Much is a Hotel Room in West End? Hotels in West End start at $18 per night. Prices and availability subject to change. Additional terms may apply. Nowhere else can you find better deals on West End area hotels. You’ll find the best prices on the quirky, the haunted, the old, the new, and the legendary. If you’re wondering what side of the pricing scale some of these hotels fall on, you need not to worry. Compare cheap hotels near West End to find the perfect one to will fit your budget. Leave the ordinary routine you’re set on behind and go. Go anywhere you want. Anywhere that makes you think, “I wonder what that’s like?” Part of Travelocity’s mission is to get you off-the-beaten path and the hotels near West End are perfect for that. Find your new favorite watering hole on a quiet street. Discover a place to escape for the weekend with tasty local fare and unique sights. We want you to consider the places outside your normal comfort zone. Browse our selection and find the ideal hotel, in a place you’d like to explore. The whole property is falling apart. We booked a 2 BR unit with a/c & only one of them was working, they got a repairman to fix the other one the next day & spent an entire day trying to fix it before they gave up & put in a new unit. The bathroom door lock wasn’t working, we told them about it & they fixed it the next day, till then we basically had to be cooped in our bedroom when someone was using the bathroom. The bathroom door was rotting & was hollow from giant ants who had made a home inside. The ants seemed to come out at night & fester all over the bathroom floor, the sight of which scared the kids away from using the bathroom. When we told the mgmt, they took the whole door down & apparently sprayed it with some pesticide & put it back in. There were less ants after that but overall the whole stay was very disappointing & we felt cheated with all the good reviews we read about & becoz of which we booked there. Mgmt was good but stay left much to be desired. Would not recommend till they do a complete overhaul of the entire property.